Borussia Dortmund, RB Leipzig and Paris Saint-Germain are reportedly all considering transfer swoops for Manchester City wonderkid Phil Foden. 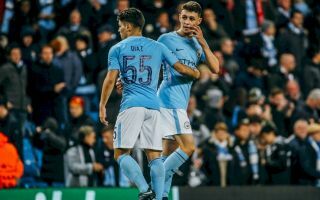 The 18-year-old midfielder has shone in limited playing time for City in recent times, and has become widely regarded as one of the next big things in the English game. Dortmund, of course, already have another of those on their books after raiding City for young winger Jadon Sancho last season. The teenager has gone on to earn a senior England call-up and looks a superb signing by the Bundesliga giants, who now reportedly want to team Foden up with him, according to the Daily Mail. Foden may well become the latest home-grown player in the Premier League to feel he’d be more likely to get the playing time he wants by moving abroad. One imagines a player of his talent would be right up Dortmund’s street given their record of handing opportunities to top youngsters. PSG would be more of a gamble, but they are also mentioned as suitors by the Mail and that’s some compliment to the player.